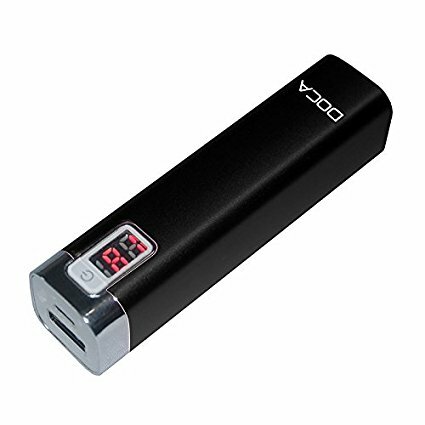 This device, offered in our online store is a mobile charger. This instrument is ideal for emergency situations. Power bank has a capacity of 2 600 mAh, which means it is not able to fully charge your phone. On average, the phones have a capacity of 2600 to 4000 mAh. This device is ideal for emergency situations. It will charge your phone so that you can easily handle all urgent matters. The device is very small and very lightweight, it's its biggest advantage. You may not always be able to lie somewhere in your backpack or purse. This small device can store energy for up to 5000 hours. It is not uncommon for displays to be mounted in such small devices. With digital displays you always know how much power you have available. This type of powerbanki enjoys great interest in women. The housings of these devices are in different colors, so you can choose the appropriate device for example the color of the bag or the color of the shoes. Modern trams are equipped with USB connectors that allow you to charge your phone or tablet. Unfortunately, when you hit a slightly older model of the tram, you will not be able to load the phone in this way. The obvious fact is that it is worth having a mobile charger. When you have multifunctional gadgets (mp3, mp4, mp5) or a phone you want to use, the features you have. With an emergency bank of energy, you do not have to worry about running out of power at the best moment of the movie, or during a passionate conversation on the forums or using social media. You do not have to be afraid of running out of music when your mp3 or phone runs out. At the time of purchase be careful because some cheap powerbikes are poor quality. Do not buy toys, buy professional equipment certified and CE mark. If you have any questions, feel free to contact me. Our company will be happy to answer any questions you have about mobile phone chargers.